During the tenancy the property may be sold, management may transfer between the property owner and one or more property management firms, and tenants in share houses or joint tenants on a lease may come and go. New tenants, property owners or agents cannot claim any bond money unless the Rental Deposit Authority (RDA) has a record of their signature.  If management transfers to a different property owner during the tenancy, then both the incoming and outgoing owner must fill in a Property Owner/Agent Transfer Form (pdf, 159.4 KB) and email or post it to the RDA or take it to Service Tasmania. If more than one tenant is listed on a Bond Lodgement Form or against the bond record, and one tenant leaves, or another arrives, or both, then the outgoing tenant/s, incoming tenant/s and the owner must fill in the Tenant Transfer Form (pdf, 158.9 KB). If the number of outgoing tenants is different to the number of incoming tenants, the tenants should provide a statement of how the bond contributions are divided. The form must be emailed or posted to the RDA or taken to a Service Tasmania shop. This transfers the outgoing tenant’s portion of the bond to the new tenant’s name. The outgoing and incoming tenants can decide between themselves how to exchange the bond money. An outgoing tenant should not sign the Tenant Transfer Form unless they have received their share of the bond money from the ingoing tenant/s. There must always be one tenant remaining in the property - the RDA cannot transfer all of the tenants at once. If all of the tenants are leaving, it is considered to be an end to the lease, and the outgoing tenant/s should claim their bond; the ingoing tenants should lodge a new bond. The owner/agent should do a final bond inspection and a new condition report at this time. The RDA cannot transfer a bond if the outgoing tenant has received a bond contribution from Anglicare or Colony 47 (because the new tenant may not be eligible for assistance from those organisations, and the assistance cannot be transferred). Instead, they must claim the bond back from the RDA, then the new tenant will need to lodge their own Bond Lodgement Form and pay the bond. The RDA cannot transfer bonds between properties. If a tenant is moving to another a property and no tenants remain, the bond must be claimed.